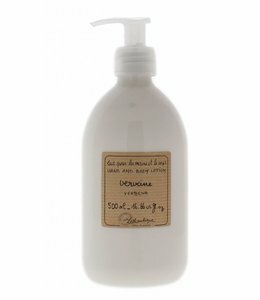 Infused with rich spirit and history, Denis and Dominique Vogade carry on the lifestyle founded by their grandparents with the creation of Lothantique, a modern company that combines old world Provencal tradition and formulas with contemporary technology. 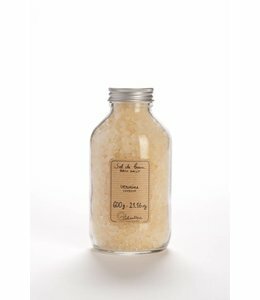 Selecting only the finest ingredients from the most elite areas of the world, Lothantique strives to recreate the handmade quality and uniqueness first engaged by the Vogades of Haute-Provence in order to bring you the finest selection of luxurious bath, beauty and home fragrance products. In the words of Denis Vogade, President of Lothantique and Grandson of the Vogades of Haute-Provence, "My goal is to use modern day compositions and processes, while remaining true to ancient, time-honoured techniques". And as an environmentally conscious company, Lothantique understands that everyday simple pleasures - fresh air, pure water, clean landscapes and a healthy ozone are of the utmost importance and therefore we have taken the appropriate ethical measures to help preserve Mother Nature's offerings. Since the introduction of our brand in 1920, Lothantique continues to be a leader in premium bath and home care products found in the finest boutiques and most exclusive stores in Europe, North America, Asia and Australia. It is Lothantique that brings you the best of the fine world of Provence. So slow down, take time to breathe and transport yourself to the gardens of Haute-Provence with us. Capture the scents of Provence with Lothantiques Room Sprays.